You have to put in music to your Video Collage Maker and to make your all events with more fun. Choose the photo, music and beautiful video collage are also available to use on your Video Collage Maker device. 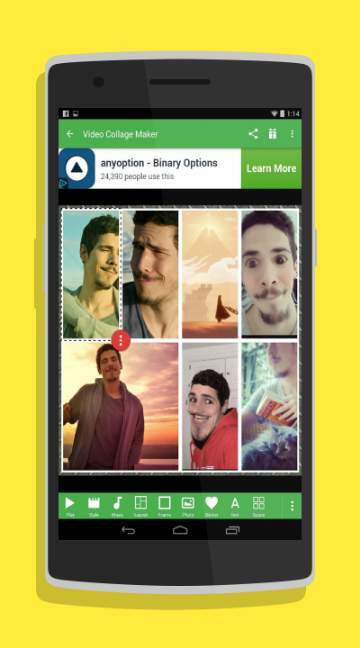 Our video collage app can simple to easily make photo and video collage within few minutes. 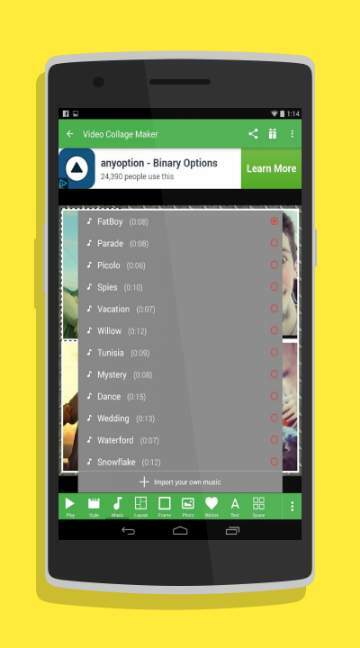 Each you are required due to just select the photo or create video collage and get extra effect on you video, or photo with make own choice of music and save that music. We provide customization such as sound tracks, Stickers 100 and plus sticker, stylish slideshow, text up to 55 with different fonts and create own predefined collage layout.